Energy balls are often eaten by people before a workout because they help keep you full and energized. They are also full of health benefits like fiber, vitamins, and minerals. They are a great source of fiber, zinc, and vitamin B1. Peanut butter contains vitamin E which is an antioxidant that provides benefits to the skin. Several recipes for energy balls exist, but the ones that I am going to share with you are simple and cost-effective. Many college students enjoy making these because the ingredient cost little and may already be around the house. They are easily stored in the fridge in a container. This makes consumption easy and quick for people who are on the run! Stick them in the fridge and wait 20 minutes before serving! Very simple! The recipe can be personalized and ingredients can be exchanged. During the holidays, people like to add dark chocolate chips to the mixture. Some people even put in red and green M&Ms! For more recipes that you will love check out our recipe section. For more fun articles like this check out our Fill Your Plate Blog. 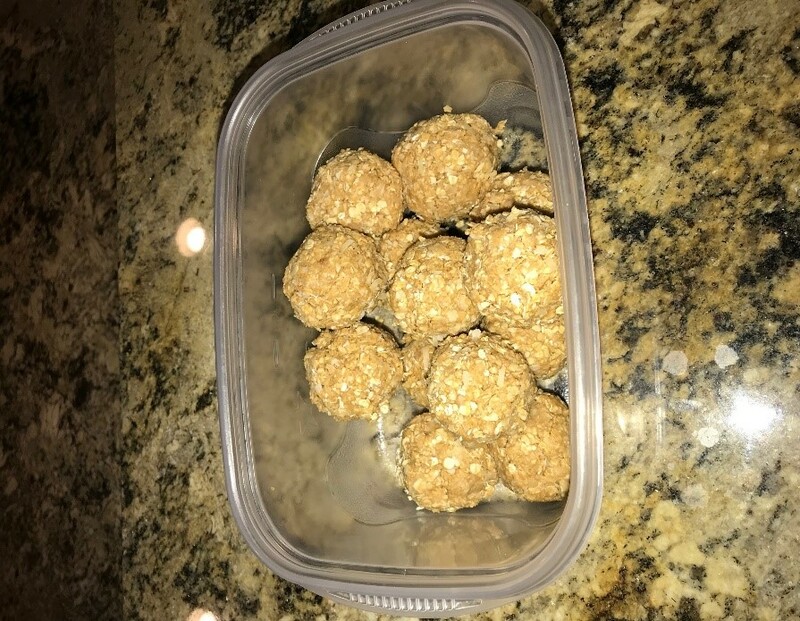 This entry was posted in Cooking, Diet Tips, Fill Your Plate, Food, Food Facts, FoodieCast, In the Kitchen, Just For Fun, Recipes and tagged Energy Balls, Healthy, Healthy Eating, peanut butter, Quick and Easy, Snacks on the go. Bookmark the permalink.